Quickly and easily locate your products thanks to the clear acrylic. With both drawers and compartments, you can store a whole range of items. The thick durable design is made to last, and will always look great on your countertop or bench. 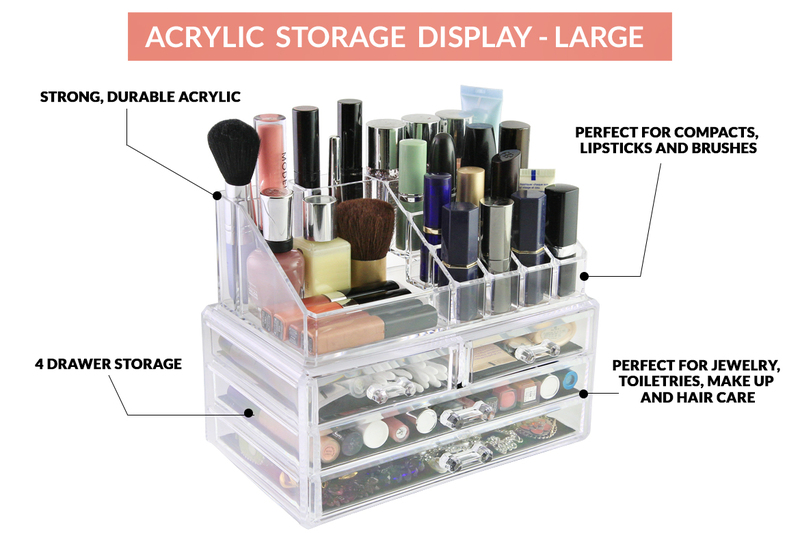 This 4 draw system is perfect to store a range of items from makeup, jewelry, accessories, glasses, watches, beauty tools, creams, lotions, cosmetic applicators and more. 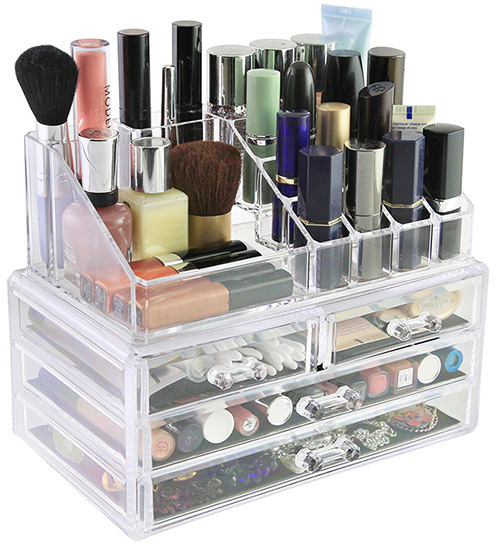 Store your lipsticks, nail polish, eyeliners, brushes, compacts, creams, cotton balls, and more in the compartment cubes. 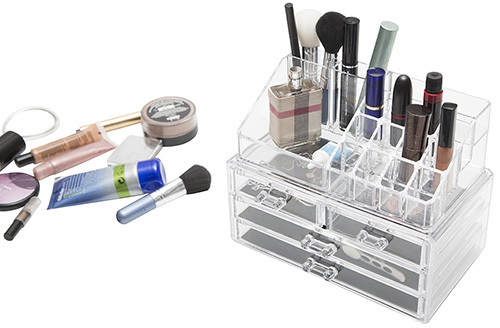 The Sympler Storage Displays come in 2 different sizes, so they are tailored to suit your make up collection and storage needs. Choose either the small or large size compartment cubes to go with your 4 Drawer System. The scratch resistant, clear acrylic can stand up to harder impact than glass, making them a safe and secure option for your products. The drawers includes removable black liners that keeps items protected and in place. 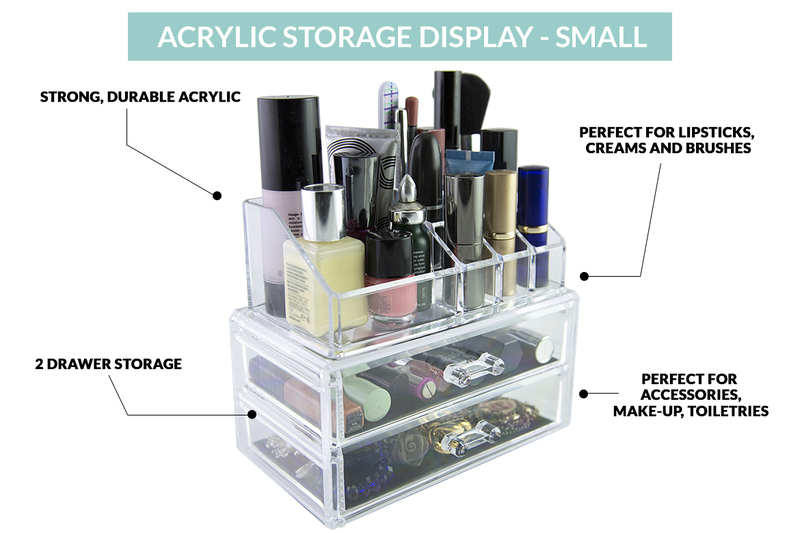 Sympler Storage Displays are compact and smartly designed to accommodate many different products. Keep valuable items safe in a place where you can find them and keep your surfaces clean and clutter free. This item is also a great gift idea! Bought this for my daughter who had so much make up lying around her room! It has been perfect for organising and sorting all of her make up things. Really good sized compartments and she can keep everything in the one place. Great for all my make-up!